I’ve never completely understood my attraction to kitsch. As much as part of me would like to suggest otherwise, it’s not a knowing embrace of excessive sentimentality and contrived garishness, as much as these things genuinely appealing to me in a way that can prompt knowingness when I reflect upon it. For instance, I saw these gnomes and immediately imagined them populating my garden (alongside the ceramic pug, the metal cat, the Buddha, the snail etc). I find the infinite reproducibility of objects like this weirdly relaxing to be around, as if they can diffuse the anxieties of commodification by reminding us none of this really matters. Yet somehow they do matter. It made me sad when I discovered that the leg had fallen off my ceramic pug (as well as baffled by the fact I couldn’t find this leg anywhere). Not upset, just a little sad. These objects invite participation in a tamed emotional register, provoking trivial joys and fleeting feelings of loss. But they also repudiate established ideas of ‘good taste’ and provoke internal alienation in those who feel the need to aggressively enforce them. These kitsch objects are individualising in the sense of relativising our individual responses, leading us further into our own involvement with mass produced objects while also problematising the generic character of that involvement. They lead us to care, vaguely, while making care of that sort more visible to us than it would be in relation to more refined and distinctive commodities. Meanwhile they trouble the care of others, interrupting an evaluative order of good taste that for much of the time gets reproduced seamlessly. I find kitsch (vaguely) consoling and I feel a (fleeting) commitment to continuing to (occasionally) collect it. This supposedly ethical process of distancing oneself from vulgar commercialism is a variant of self-exclusion from the social; like it or not, these non-places come closest to representing the actuality of contemporary British life. There is no more ‘reality’ or ‘authenticity’ to be found in the charity shop or the ethnic café than in a branch of Tesco or Starbucks. Capitalism is not threatened by our desire to buy fair trade coffee or locally sourced fruit and vegetables. In fact these new niche markets are exactly what contemporary capitalism needs to present itself as heterogeneous and democratic, the principal ideological strategy that ensures its acceptability, continuity and growth by maintaining the practical allegiance of those who still credit themselves as having values over and above it. 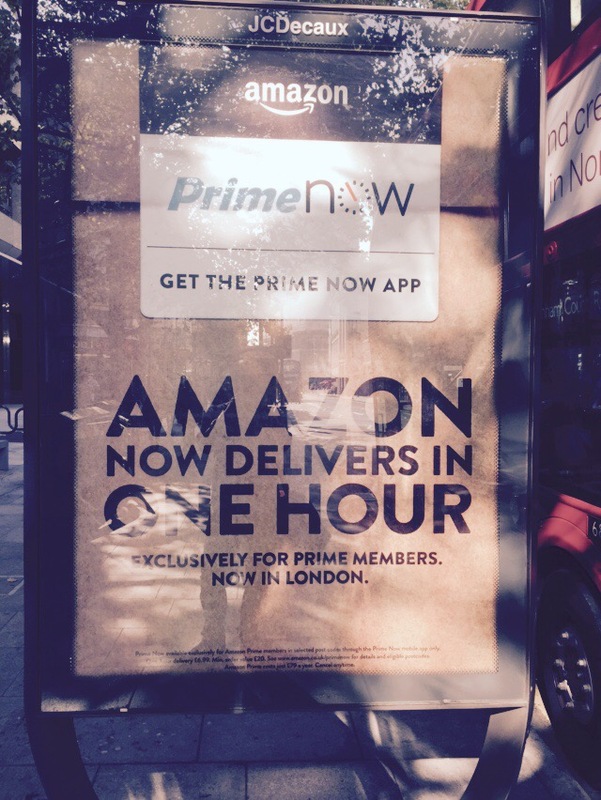 I’d add a further question to this: what are the temporal preconditions for this activity? How much time, energy and knowledge are required in order to identify these opportunities for self-exclusion and to act on them? When today’s affluent workers come home after a hard day’s work, they find themselves in their homes, surrounded by objects that all represent invitations for action. In my own home I find a Netflix account bursting with viewing choices, a set of shelves crammed with CDs, a pile of impulse-bought books calling out to be read, and a fridge full of ingredients that need to be cooked before they go bad. In my less busy periods these are sources of much pleasure, but when I am too busy to enjoy them, they are nothing but sources of frustration. The possessions of the harried leisure class can all too easily become anxiety-inducing reminders of how scarce free-time can be. Crippled by choices and troubled by the scarcity of our free-time, we often do the only thing that seems feasible –we do nothing. The appeal of takeaways was especially dubious now that Ben was more cognisant of the ‘big cycle’: the fact that working produces a need to consume convenience goods, but that the consumption of convenience goods itself reinforces dependency on the income generated through work. Given the extent to which many modern commodities –from pre-prepared meals to high-caffeine drinks, car washes, repair services, care services, personal trainers, dating agencies and so on –are capitalising on our lack of free-time, it is not surprising that many of the people I met found that working less was allowing them to save money. They were able to do more for themselves. Pretty much the entirety of my morning yesterday was consumed by trying to purchase new glasses. I already find eye tests a weirdly difficult experience because the analytical voice in my head can’t help but reflect on the naive empirical perception that the exercise is supposed to elicit and the work being done by rather vague terms like ‘1’, ‘2’ and ‘sharper’. It would be nice to find that other people have this experience as well but I suspect it’s probably just me. However I think the equally time consuming process of subsequently choosing glasses probably reflects more than my own strangeness. After the eye test, I was given a voucher for £99 off a second pair of glasses if I bought an initial pair of frames over £150. I’d set out to buy two pairs in the first place so I enthusiastically embraced the choice architecture they’d constructed for me and went searching for an initial pair. l spent some time randomly trying frames on which caught my eye before realising that all the glasses were either £100-£140 or £220-£350. This realisation occurred after a helpful (?) member of staff had given me a tray upon which to store the glasses that I liked, soon finding myself with 8 frames susceptible to various possibilities (using the voucher or not) when it came to purchasing them. After eventually resorting to mental arthritic in a way which completely pulled me out of the liminality into which the consumer is supposed to enter, I concluded that using the voucher would either lead me to spend a lot more money than I otherwise would or lead me to choose frames that I didn’t actually want in order to save a small amount of money. Then a failed attempt to purchase prescription sun glasses added another 20 minutes to this process which I won’t bore you with. Eventually I thought this drawn out process, for which I had little enthusiasm to begin with, had finally drawn to a close. But then I was presented with the issue of lenses: I had to choose between 4 gradations of thinning, ranging from £0 to £150, each with distinct implications for each specific pair of frames on an aesthetic level. The instrumental rationality which was the only way I’d managed to make a choice in the first place was instantly thrown into disarray. The choice I made does on reflection seem to have been the right one on instrumental grounds but it was one I made at the time purely to bring the process to a close. Three things struck me about the experience: (1) how falling back upon calculative rationality, once I’d selected a subset of the options on aesthetic grounds, was the only way I was able to make any decision (2) how that calculative rationality was almost immediately upended by a new dimension to the decision which was only introduced after selecting the frames (3) how exhausted I felt by that point in the transaction. 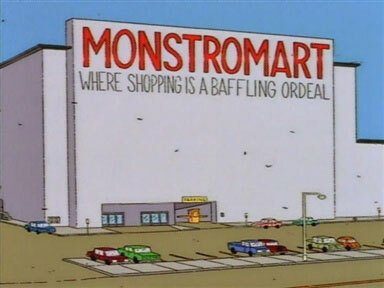 Experiences like this always make me think back to Monstromart in the Simpsons: where shopping is a baffling ordeal. Last time I thought about this, I’d been browsing the cold & flu pills in Boots, utterly unable to make a decision. Lacking any criteria for choice, I looked at the ingredients list and was amazed to discover that the only difference (other than price and packaging) between the 16+ products they had was whether there was caffeine or ephedrine in the remedy. If behavioural scientists are right about decision fatigue then there’s an important sense in which consumer capitalism might be contributing to our passivity, above and beyond the sense implied by familiar critical denunciations of pseudo-choice (which I nonetheless think have value because the whole thing always feels so vividly stupid when I’m faced with a row of identical products and just want something that works). If we have a finite capacity to make choices over the course of day, we should take seriously the impact that trivial consumption decision have aggregatively upon our decision making in other aspects of our lives. We also need to remember that this is something which corporate bureaucracies, not themselves prone to decision fatigue, seek to exploit through all manner of strategies. I’m interested in understanding this further, as well as making sense of how front line staff mediate this in perhaps unintentional ways: for instance have you ever found yourself been asked to justify your decision not to purchase a ‘meal deal’ (etc) when you actually don’t want the additional items you’d receive?